Since its initial deployment to the Ethereum mainnet in August 2017, 0x Protocol has been wildly successful, even exceeding the most optimistic expectations of the 0x core team. In less than a year of being live, the protocol has been used to facilitate more than 100,000 trades of 500+ unique Ethereum tokens, totaling a trade volume in excess of $200 million. Needless to say, 0x Protocol has been one of the most useful projects in the entire Ethereum ecosystem thus far. Even better for the project’s early supporters, the growth in adoption of 0x protocol has coincided with growth for the protocol’s native token, ZRX. In fact, ZRX is currently the 3rd highest market cap of all Ethereum tokens, trailing only OMG and BNB. As if the outlook for 0x wasn’t already bright enough, things are about to get even better. That’s because the 0x core team is nearly ready to launch 0x Protocol 2.0, with a handful of exciting developments set to take things to the next level. New features always tend to get most of the attention, but V2 also makes tons of improvements on existing features in V1 that are worth mentioning. One big area of improvement is order matching and batch settlement. V1 of the protocol enabled atomic order matching, but only in the cases in which the users had enough upfront capital to fill the transactions completely. V2 expands atomic order matching significantly by eliminating the requirement for up front capital. Now the only remaining requirement of users is that they have enough ETH to cover gas costs. Another upgrade that’s part of V2 is its support of new signature schemes in addition to the standard Ethereum encryption scheme, ECDSA. What makes the expansion of supported schemes important is that it allows users to optimize for their specific use cases by prioritizing security, flexibility, ease of use, or other factors rather than being stuck with a signature scheme that may not suit their application. 0x protocol 2.0 supports EIP-712 and Trezor signatures, while also making it possible for users to define their own verification functions in smart contracts such that multi-sig, BLS, and ring signature schemes, among others, can all be used. 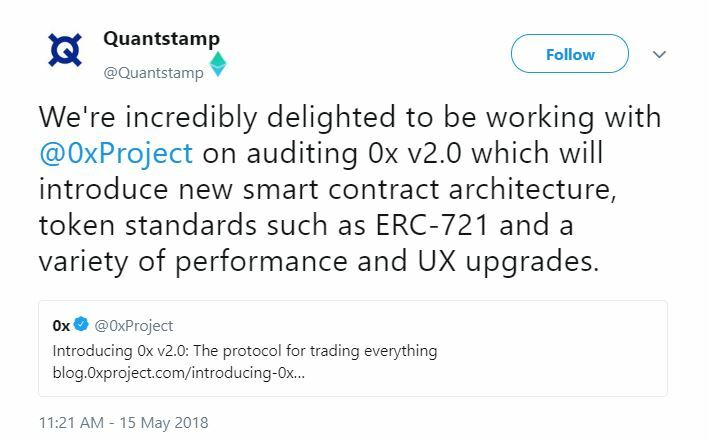 The biggest change between V1 and V2 of the 0x protocol is a redesign of the smart contract architecture to allow for streamlined support of new ERC token standards.The first token standard that is being added is ERC-721 — the non-fungible token (NFT) standard best known for being used in CryptoKitties — but it will be possible to add many more in the future. All of this is accomplished through the deployment of new Asset Proxies for each token standard as opposed to the single Proxy that interfaces with all tokens that are being exchanged. Since new Asset Proxies can be added without altering existing ones, it’s possible to support new token standards without changing the original smart contracts, making the whole process a lot simpler. Ultimately, redesigning the smart contract architecture to more easily integrate new ERC token standards is a very important step to take for 0x project. ERC-20 is by far the most common standard right now, but it is not without flaws. The ERC-231 and ERC-777 token standards both improve upon ERC-20, but have yet to see significant adoption. Perhaps the addition of ERC-231 and ERC-777 Proxies to the 0x protocol in the future will help influence more projects to use those standards rather than the outdated ERC-20 standard. If you aren’t familiar with 0x Protocol already or haven’t used a relayer, you may not have heard of “wrapped ETH” (WETH). Due to the fact that Ether existed well before the ERC-20 token standard, ETH itself does not actually fit the standard. As a result, it’s not possible to directly trade ETH with other ERC-20 tokens. The solution is to ‘wrap’ ETH, which in reality is simply using a smart contract to exchange ETH for an equal portion of an ERC-20 compliant version of itself, WETH. Unfortunately, needing to use WETH rather than ETH is not exactly good for user adoption, as it creates extra steps and confusion in the exchange process. But until the Ethereum codebase is altered so that ETH complies with ERC token standards, there’s just no getting around it. That being the case, 0x Protocol 2.0 will improve the situation significantly using a new forwarding contract. The point of the contract is to make WETH easier to use by allowing users to send ETH along with the orders they want to fill, and the ETH can then be wrapped and used to fill the orders in a single transaction so that WETH takers are no longer needed. The 0x core team isn’t alone in helping ensure the success of 0x 2.0. They’ve also employed the help of SoHo Token Labs and Quantstamp to audit the V2 smart contracts. 0x has already established a really positive track record in the Ethereum community, and the mainnet deployment of 0x 2.0 in September should improve on that even further. On top of that, it will be exciting to see how other project teams use the 0x protocol to build out more solutions and continue improving liquidity in the Ethereum ecosystem. All things considered, there are few Ethereum projects and cryptocurrencies in general that are doing more to make mainstream adoption possible than 0x. That’s why it’s certainly worth keeping a close eye on 0x Protocol 2.0 in the months ahead. 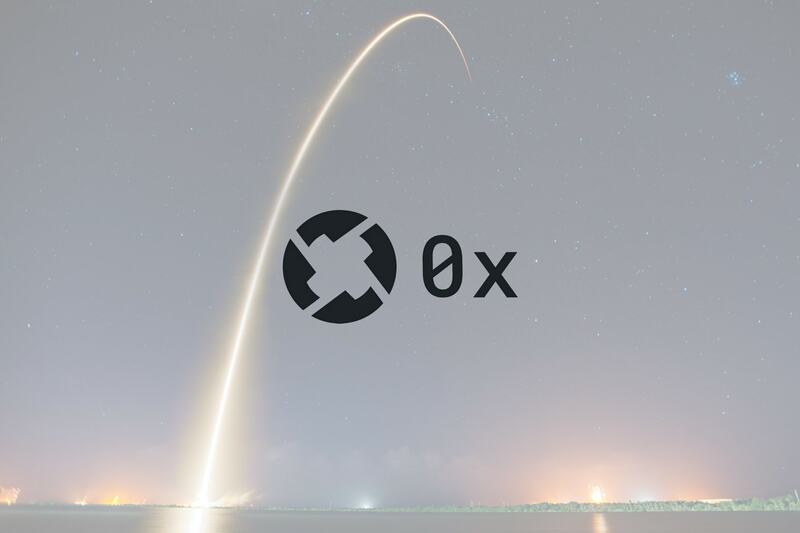 For a full overview of 0x project, check out our article: What is 0x Protocol (ZRX)?